In 2017 and the years that follow, institutions must dedicate their efforts to the recruitment and retention of a more diverse student population. Mentoring is a retention strategy that uses institutional resources to establish connections between prospective, current, and alumni students. Through mentoring relationships, students receive support, learning experiences, and networking opportunities that better prepare them for life after college. In light of Mentoring Awareness Month, today’s Monday Morning MSI Line Up highlights minority serving institutions with premier mentoring programs. At Hunter College, the mentoring program pairs Hunter alumni with students who are looking for educational advice, career guidance, and life lessons. Using real-world experiences and personal testimonies, Hunter graduates give students advice in areas ranging from the most efficient studying techniques and decision-making skills to interview preparation and professional development. Hunter alumni are fantastic role models dedicated to grooming future Hunter alumni. Show them how it’s done, Hunter! The Mentoring for Success (MFS) program at Roxbury Community College strives to empower students to achieve academic success. The program mostly serves first-generation students in supporting their academic goals. MFS encourages students to reach their full academic and professional potential while exposing them to helpful resources and support. The program’s goal is that participating students develop professional tools and maintain excellent academic standing. Strive for excellence, Roxbury. We support you! Panthers at Work (PAW) is a mentoring program at Claflin committed to establishing relationships between current and alumni students. Through their participation, students will gain assistance and experience in areas like determining their major, finding internships, initiating their job search, and resume building. PAW gives current students a head start on life after college and alumni students a chance to give back to their alma mater. We see you, Claflin! In the International Students Mentoring Program at CSUB, students, faculty and staff work hard to ensure that international students find their space on campus. International students that participate in the program can expect to receive better information about campus and events; a sense of belonging, personal relationships with faculty and staff members; as well as less formal environment to ask questions and seek help. Moreover, students have the opportunity to build close-knit relationships with other students. Keep it up CSUB! The Transfer Transition Peer Mentor Program is dedicated to helping transfer students adapt to life at UNCP. Many of the peer mentors were once transfer students themselves and therefore well-versed about the needs of transfer students: as a result, mentors can share their knowledge about campus life and about student resources. This program is rare in that it ensures a smooth transition for transfer students and makes them feel right at home. Way to go, UNCP! Know of other mentoring programs at Minority Serving Institutions? Share them with us in the comments below! 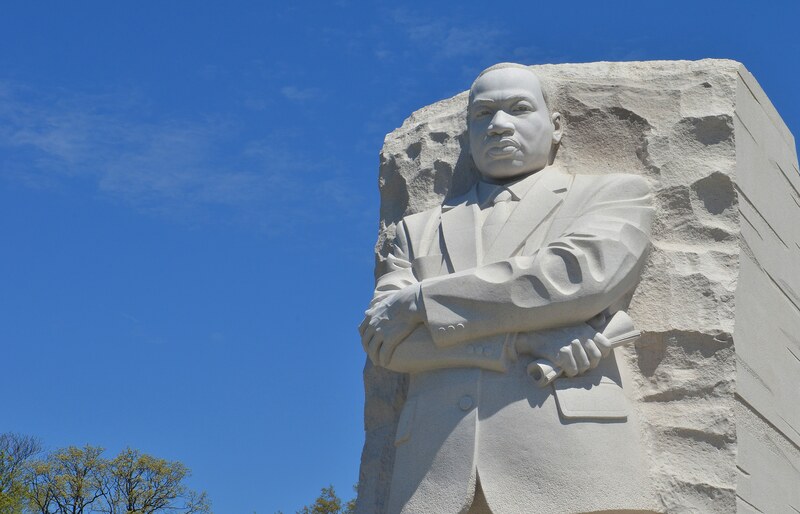 These five Minority Serving Institutions have created days of celebration in honor of one of the most important activists in history: Martin Luther King, Jr. Through music performances, community service events, and award ceremonies, the spirit of service is visible among these campuses. Faith Week at Tuskegee University is a week dedicated to Martin Luther King Jr. This week includes days of worship, keynote speakers, a panel of community leaders, and a banquet. Faith Week encourages unity among the Tuskagee campus as the events are open to people of all faiths. For this special day of service, Spelman College will be assembling school supply kits for several elementary and middle schools in West Atlanta. This organized event will greatly impact and empower local communities. Each year, Western New Mexico University honors an outstanding community member who exemplifies the character and values of Martin Luther King, Jr. The ceremony is then followed by music performances. Claflin University also organizes a full week’s worth of events in honor of Martin Luther King, Jr. The week of service is comprised of a blood drive, a clothes drive, and other community service events. The University of Maryland at College Park is hosting the 26th Annual celebration on January 14, 2017. The event begins with opening prayers and concludes with African storytelling and tribal drumming. RSVP for the festivities here. Know of Martin Luther King, Jr. Day celebrations at other Minority Serving Institutions? Share them in the comments below! Last night was the start of the Awards Show Season with the 74th Annual Golden Globe Awards, hosted by Jimmy Fallon. From beautiful red carpet looks to funny introductions to memorable acceptance speeches, the Globes was certainly a night of celebration. Today’s Monday Morning MSI celebrates seven nominees from last night’s awards who attended Minority Serving Institutions.In fact, though none of the nominees took home the award, four of the nominees on this list were nominated in the same category. Jessica Chastain attended Sacramento City College, where she was involved with the institution’s theater program and debate team. She was nominated in the category of “Best Performance by an Actress in a Motion Picture – Drama” for her role in Miss Sloane, a movie about a powerful D.C. lobbyist who is determined to do all that it takes to win. Annette Bening attended San Diego Mesa College for two years, where she was in the theater program. She was nominated in the category of “Best Performance by an Actress in a Motion Picture – Musical or Comedy” for her role in 20th Century Women, a movie about three women exploring Southern California in the 1970s. Lily Collins attended the University of Southern California. She was nominated in the category of “Best Performance by an Actress in a Motion Picture – Musical or Comedy” for her role in Rules Don’t Apply, a love story set in the year 1958 in Hollywood. Dustin O’Halloran attended Santa Monica College. He was nominated in the category of “Best Original Score – Motion Picture” for his work alongside Hasuchka in Lion, a movie about a lost boy from Calcutta, India who seeks to find his family later on in his adult life. Anthony Anderson attended Howard University, graduating in 1993 with a degree in theater arts. He was nominated in the category of “Best Performance by an Actor in a Television Series – Musical or Comedy” for his role in Black-ish, a television series about a Black family living in a mostly white community. Nick Nolte attended both Pasadena City College and Phoenix College, two Minority Serving Institutions! Nominated in the same category as fellow MSI attendee Anthony Anderson, Nolte was nominated in the category of “Best Performance by an Actor in a Television Series – Musical or Comedy” for his role in Graves, a television series about a former president looking back on his time in office twenty years later. Bryan Cranston attended Los Angeles Valley College. He was nominated in the category of “Best Performance by an Actor in a Limited Series or Motion Picture Made for Television” for his role in All The Way, a television movie about President Lyndon Johnson’s first year in office. Congratulations to all of the nominees and winners! Did you tune in last night? What was your favorite part of the Globes? Let us know in the comments below!